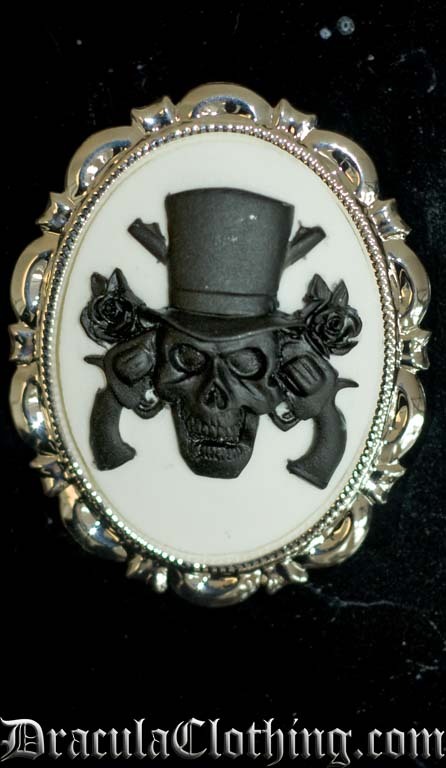 An edgy, cool cameo brooch, very different from the more typical women's head cameo. Who says you can't mix Victorian imagery with rock'n'roll? This brooch is 4x3 cm.